Beachside Condo - Family Friendly & just a short block away from the ocean. 3 BR and 2 Bath, all the amenities to relax and enjoy our beach & festivals. accommodations of home. This unit is across the street from the St.
playground equipment and water spouts). This is an upscale complex with the serenity of a gated facility. When you are here it feels like you are vacationing in the Islands. My husband and I have managed this condo for over 15 years. We have both lived in this great city our whole life and we treasure the uniqueness and the community, you experience the friendly vibe, know matter where you. We own a home and live here full time ourselves. Our condo is located off A1A Beach Blvd. & directly across from the St. Augustine Beach Pier and splash park. This location hosts festivals, farmers market and music events every week. 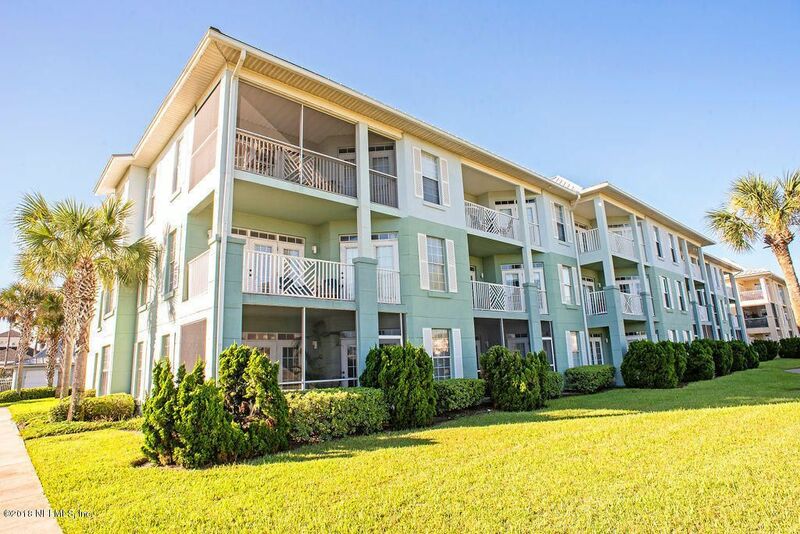 We are a short walk to the ocean sand and our unit is on the front east corner of the complex, closer to the beach, our facility pool and clubhouse. 2 reserved parking spaces provided. Clubhouse provides a fitness room. Paper towel, garbage bags and dish soap, cleaning supplies. Full set of dishes, glasses and utensils. Table and 6 chairs, 2 bar stools for open pass thru bar into the dining area. Air Conditioning Cable TV Television in Living Room Television in Master Bedroom and Queen Room Wi-Fi Washer & Dryer, Vacuum Iron & Ironing Board A Fully-equipped Kitchen: Oven/Stove Microwave Dishwasher Disposal Refrigerator with ice maker Coffee Maker Blender Toaster/Oven Cookware, Bakeware Utensils Plates, Cups, Glasses. We also provide: Linens, Towels, Beach Towels You will have everything you need to make our condo your home! It is the perfect place to unwind and relax. We enjoyed our stay. Condo was clean and comfortable! Owners were so easy to work and communicate with! We want to come back and rent same unit! Melissa (owner) met us when we arrived to show us around condo & give us keys. Everything we needed was available, including beach towels. Recycling was available on-site. Conveniently located to many restaurants & the beach. On-site pool & game/exercise room were clean. We would definitely stay here again! I found the unit to be very comfortable, spacious, clean, and accommodating. It was a very good experience to say the least. Not our first and def not our last visit to this condo. Location is perfect and size is perfect fir our family of 5. Clean and has everything. Owners rock :). Very clean and comfortable Condo! Great three-bedroom condo within steps of the ocean. Perfect set up for a big family, restaurants and shopping within walking distance. Delicious ice cream shop across the street. Very clean and comfortable! Great guests to have in our condo. There welcome back anytime! Museums, Cinemas, Restaurants, Music and Shopping. Property Rates $175-$225/Night $1,200/Weekly $1,400/Wk. Holidays Monthly rates available *Condo association requires 7 night minimum stay, inquire for other options. 10.5 % Florida Tax $125.00 Housekeeping Fee 30-day notice of cancellation Check in 4:00 p.m., Check out 11:00 a.m. Smoke-free environment Rates and terms are subject to change without notice. Rates shown are in U.S. Dollars.